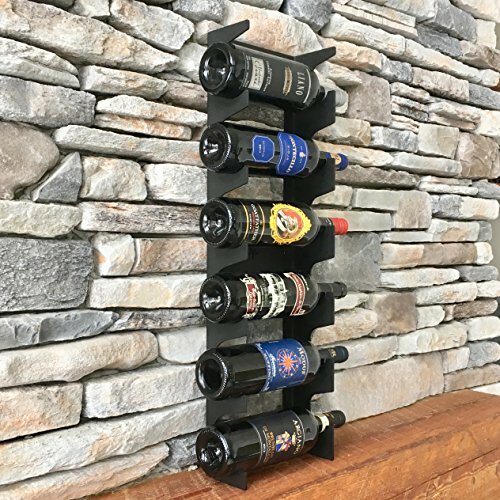 If you are looking for something looking very different from other wall mount wine rack, then this rack is the one. You won't find it anywhere else! Install it in a minute! For installation, all you need is a screw driver! With the 4 drywall anchors provided with the rack, you don't need to find the stud in your wall anymore. Design, handmade and tested in North America! This wall mount wire rack is 100% hand made in North America and we are very proud of that! We said tested? Yes we test our products in any weather condition, the quality isn't an option. Come with 4 industrial drywall anchors for ultra-easy installation, you don't have to find stud behind your wall anymore! If you have any questions about this product by Y-Furniture Design, contact us by completing and submitting the form below. If you are looking for a specif part number, please include it with your message.